This page is a collection of photo samples taken with the Pentax smc DA* 300mm f/4 ED (IF) SDM, plus related image galleries, user pictures and other examples that I’ve come across in forums, online communities, blogs and related websites. This should help in determining if the image quality of the P-DA 300/4 SDM meets your expectations. Bear in mind that the majority of these photos are re-sized, and may have gone through post-processing, retouching or other edits. 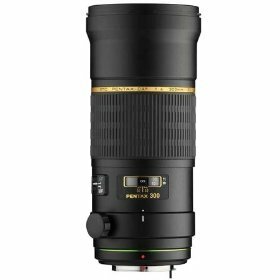 I just thought that it would be interesting to see, at a glance, what SMC PENTAX DA STAR 300MM F4 ED(IF) SDM owners and users are shooting with their lens. Dale Doram has shared three images photographed with the DA 300/4 lens mounted on a Pentax K20D Digital SLR Camera in this forum thread. Don’t forget to hit the refresh button on your browser to serve up another set of random pictures. This sharp bird photo of a Ruby-Throated Hummingbird (shot with a K20D) is a superb example of the kind of image quality you can get with this lens.